Created by the villainous Reavers to be an exact duplicate of the X-Man Wolverine, Albert gained real feelings in an electrical accident. Now constantly rebuilding himself out of whatever materials he can find, Albert scours the world for his heroic doppelganger - but whether to befriend him or to harm him, even he is not sure! 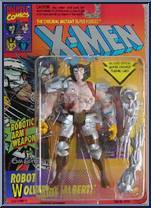 Contribute pictures, update details or suggest corrections for Wolverine (6th Edition - Robot). 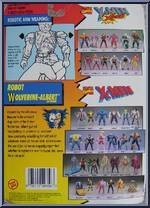 Write a review about Wolverine (6th Edition - Robot).